Hello, 2018! 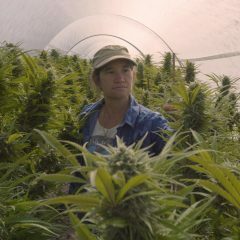 I hope everyone enjoyed a wonderful and safe New Year celebration, and if you’re in California, I suspect you’re already enjoying the spoils of legal, adult-use cannabis. This week I want to share the setup I use just about every day when I’m dabbing at home, or what myself and many others would consider my “daily driver” dab rig. Let’s get right to it! First and foremost, my daily driver is not that fancy or expensive. I love functional glass art but generally reserve my headies for special occasions. For daily dabbing, I look for a few things when building a solid setup. Paramount to anything aesthetic is the function of the rig. 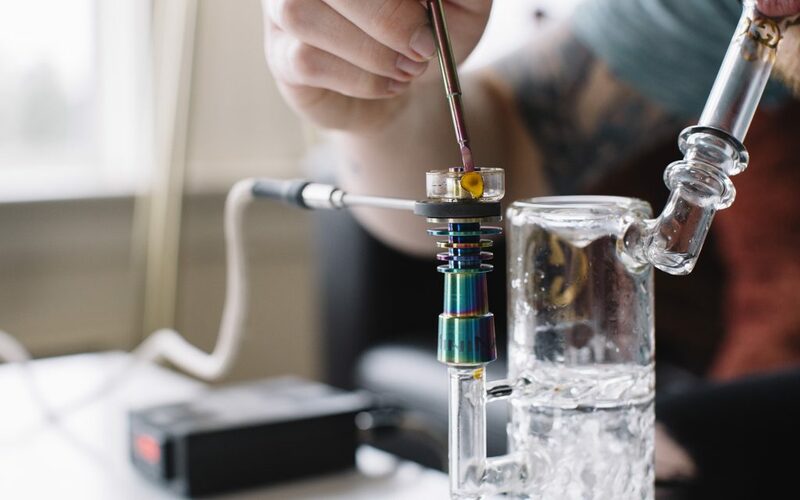 The piece must provide a smooth pull, effortless percolation, and just a touch of resistance—it could just be personal preference, but a subtle resistance that doesn’t make the rig seemed clogged feels natural to me. My body is pretty used to inhaling large bong tokes of hot smoke, and a small amount of friction against my inhale feels like it keeps me from choking on the vapor from a large dab. My daily rig has two percolators that provide a great dab. First is the shower-head perc that serves as its main diffusion through the water. That’s followed by a vortex chamber perc, which cools the vapor further by spinning it and diffusing any water that has bubbled through the first chamber. My rig also has a nice, solid base, which is always makes life easier when the glass is attached to a corded device. 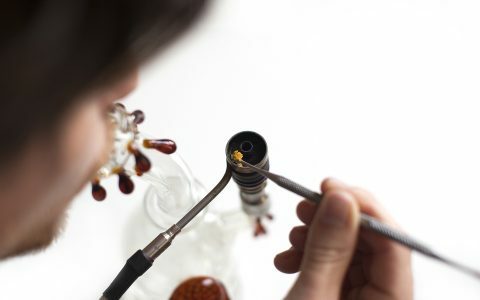 To many dabbers, myself included, being able to manage your temperature is the most important aspect for the perfect dab. For my daily driver, I avoid the hassle and time of butane torches and fluctuating nail temperatures by using an electronic nail, also called an enail. An enail avoids the repeated refilling needed with smaller torches, and there are a lot of great enails on the market to add to your collection. 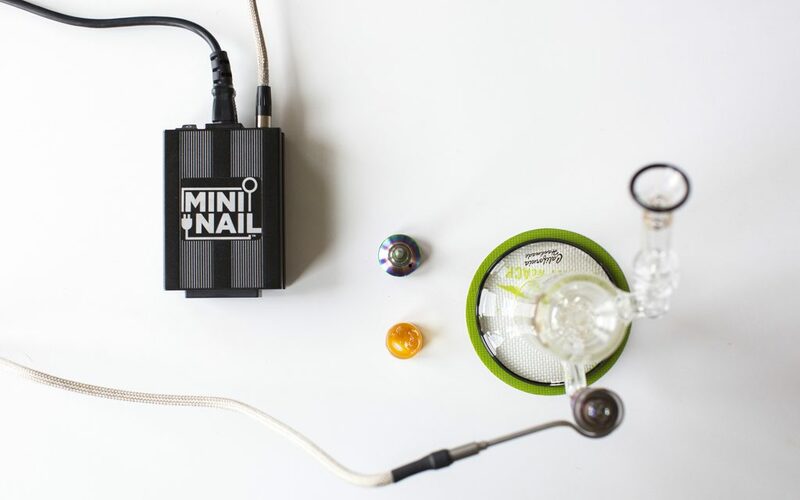 I prefer the MiniNail because it’s compact, pulls very low energy, and has tons of options for customizing your setup. 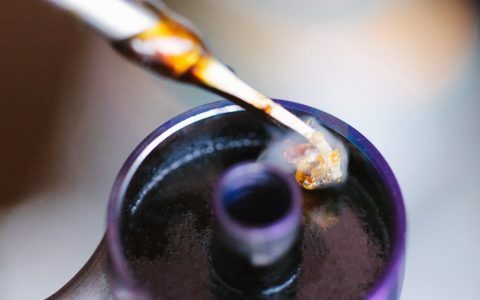 For flavorful, low-temp dabs, I typically set my MiniNail between 500 – 570 degrees depending on what kind of hash I’m dabbing and the size of my dab. This might be hotter than some flavor hounds and terp hunters like, but I’ve found it an effective range to preserve much of the natural flavors and to avoid puddling and waste left on my nail. 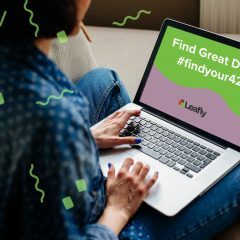 Flavor is the ultimate characteristic when it comes to defining your dab, and there are a few things you can do to emphasize the natural flavors of cannabis. 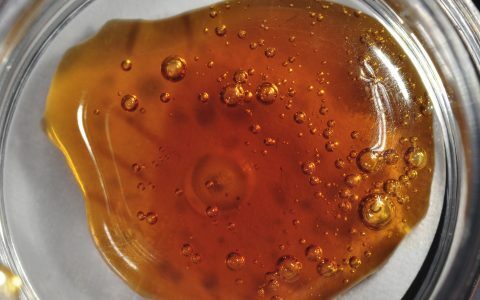 Besides the temperature at which you dab, the material of your dabbing or nail surface is crucial. 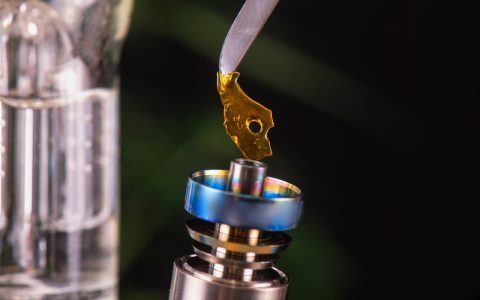 Titanium, ceramic, and quartz are the three most prevalent materials that dab nails and bangers are made from, and they all provide a slightly different experience, each with their own pros and cons. On my daily driver, I use MiniNail’s quartz bucket attachment because let’s be real, a dab without flavor is hardly a dab at all. I generally prefer and recommend high-quality quartz for a few reasons. 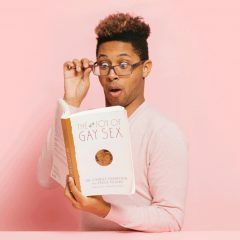 It’s inert, meaning it doesn’t off-gas any material, flavor, or smell. Additionally, it holds and maintains an even temperature, giving you a consistent sweet spot to aim for with temperature even when using a torch. Lastly, it’s easy to clean with Q-tips and a drop or two of isopropyl alcohol. Because I get so much use out of my daily rig, it gets dirty pretty quickly. Find yourself a rig that you can clean often without too much trouble. The straight, clear glass sections on my Gilded Glass rig make cleaning a breeze, and the shower-head and vortex percolators are simple enough to unclog any reclaim without struggle. To clean my pieces and tools, I generally soak them in isopropyl alcohol overnight and then rinse them with hot water. What are you dabbing on to start 2018? I’m welcoming in the new year with my last fat dab from my Mendo Punch headstash through my daily driver. 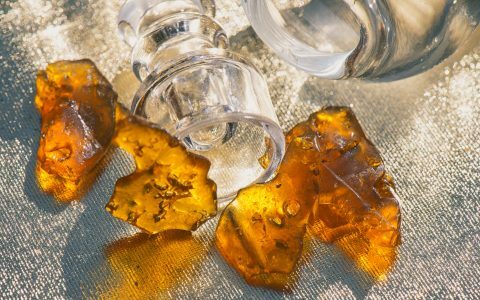 This beautiful six-star hash rosin is sweet, complex, and true to its name, packing an amazing punch. 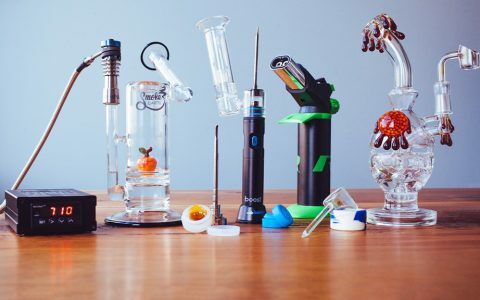 What’s your go-to dab rig? Share your setup on Instagram and tag me @the.avid.dabber and use #aviddabber. Or tell me what you prefer in the comments section below. Next week, I’ll share some of my recommendations for travel rigs that will help you design the perfect setup for dabs on the go. Until then, ONLY DAB THE BEST! 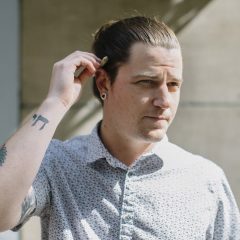 Thats nice and all, but theres nothing cheap or even mid price for the Mini nail, which looks awesome. Definitely agree with you on the price. Good enails aren’t cheap, but it’s good to invest in a quality nail made from quality materials. I’ll work on putting a round up of my favorite enails at different price points. Stay tuned!